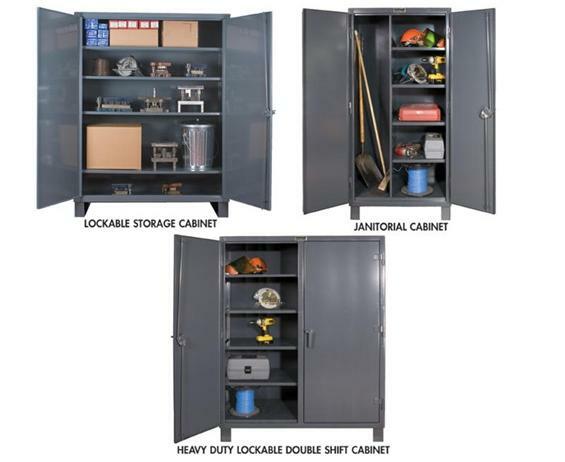 12 Gauge Heavy Duty Storage Cabinets | David's Inc. 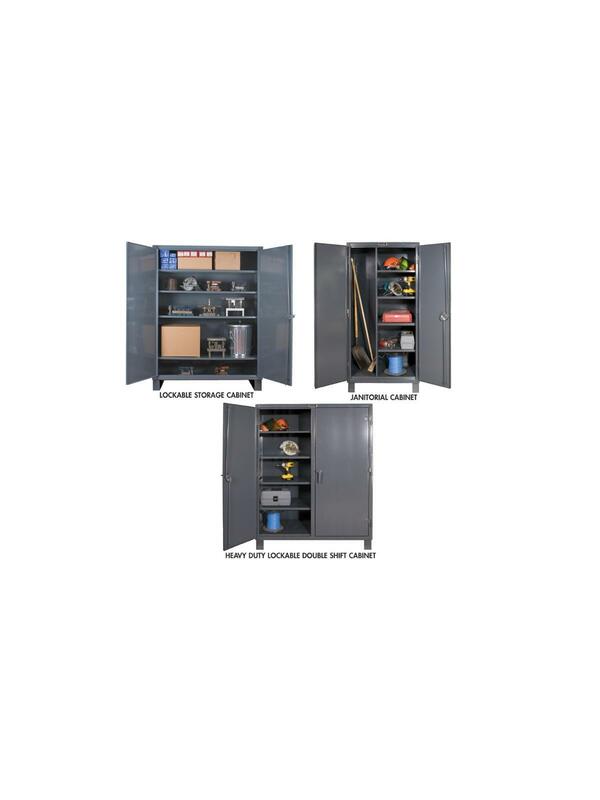 Extra heavy duty construction for durable security. Shipped fully assembled and ready for use. Feature rugged, all-welded 12 ga. steel construction and handsome flush door design. 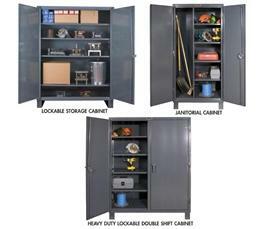 4 reinforced steel shelves are adjustable on 2-1/2” centers. Includes extra heavy-duty hinge pins that secure doors to avoid sagging. Sturdy 3-point, cast steel locking handles have 3/8” dia. rods and provision for padlock (padlock not furnished). 6" high box style legs offer space for lift truck forks and can be lagged to the floor, constructed of 3/16" steel. Durable Gray powder coat finish. FOB Shipping Point. D x W x H 24 x 36 x 78" 24 x 48 x 78" 24 x 60 x 78" 24 x 72 x 78"